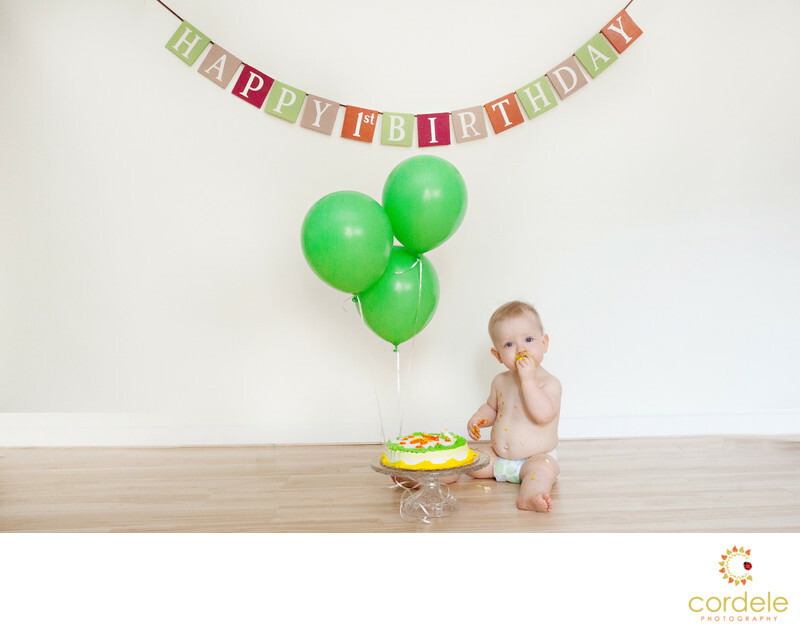 Simple Cake Smash Backgrounds for Baby's first birthday photos in Boston MA. There is no other way to mark the milestone. Here we just used a simple wall in my clients home and she brought green balloons and made a banner. Who doesn't love a naked baby eating cake? Just make sure to show the cake to the little one a few times before we place it down in front of them. Cake can be scary!